Paria Canyon is famous for colorful slot canyons, which cross Northern Arizona and Southern Utah. They are among the longest and deepest in the world. You will trek through narrow gorges and around rare rock formations found only in this region. You’ll also pass through some slot canyons that are so narrow; you can touch both sides with your arms spread out! This hike is for beginning and experienced backpackers alike, but be ready to have wet feet for a good portion of your trip. Advanced permits are required and only 30 people are allowed to stay overnight in the entire canyon per day, so the area remains relatively unspoiled by humans. It’s a real “Roughin’ it” adventure. There are no designated trails on this tour- you just head straight into the canyon. 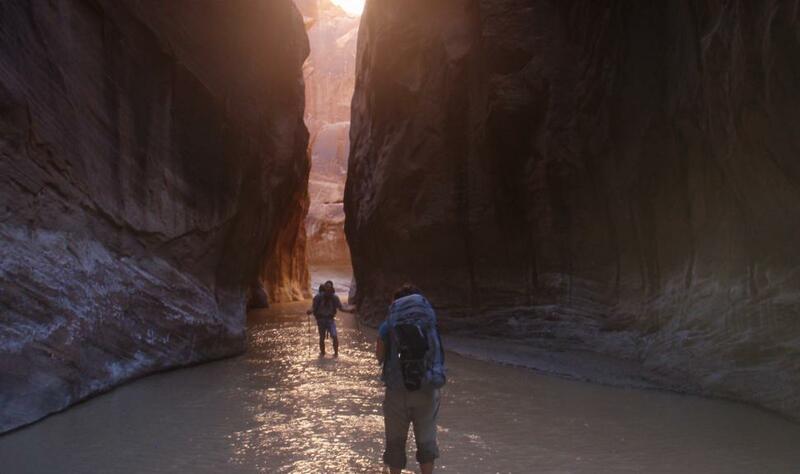 And, make sure to save time to hike up Buckskin Gulch for some real slot canyon adventure! AND, with our outfitting services for your Aravaipa backpacking trip, your experience will be more enjoyable as we will do much of the footwork for you. Click here for more information about JRI’s outfitting services. *Please note: Permits are required for Paria Canyon and come available 4 months in advance. 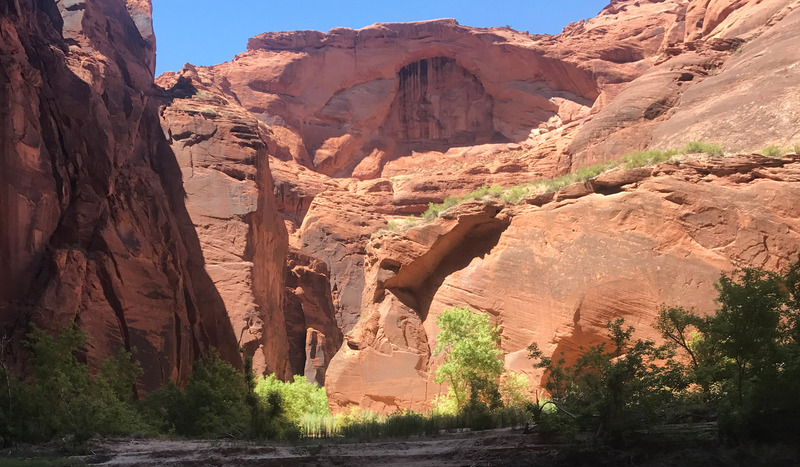 From the White House Ruins trailhead, you will hike along (and in) the Paria River. You meander through the canyon, allowing the massive red walls to swallow you down its one-way track. 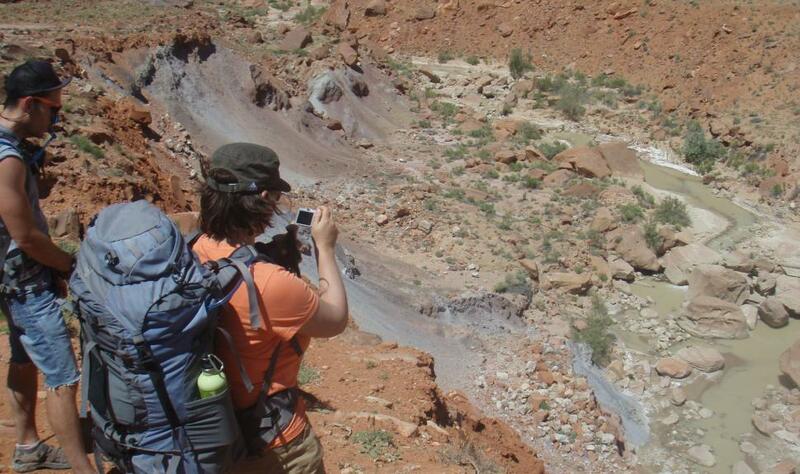 Our goal on the first day is to reach the Paria Narrows and camp at the confluence of Buckskin Gulch and Paria River. The hike is 7.5 miles (12.1 km) with very little change in elevation. The next day we recommend setting aside time for a side hike up Buckskin Gulch, one of the most famous, and longest, slot canyons in the world. Camp a second night at the confluence or head further down river to camp. You have 42 total miles of canyon to play in with no camping restrictions, so have fun with your itinerary! Over the next three days the itinerary is open- except for your exit at Lee’s Ferry on the last day to meet your shuttle (because this is a one way hike, you will need to arrange a shuttle). 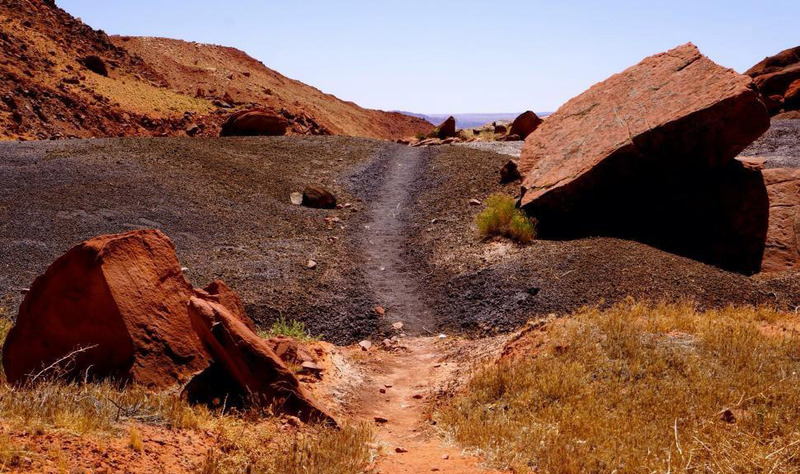 Along the way to Lee’s Ferry, there are opportunities to explore the sites in the area, including petro-glyphs, historical sites and Wrather Arch which is one of the largest arch spans in the world.